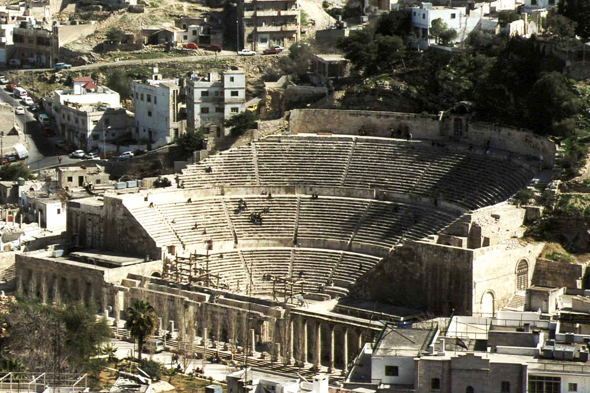 The Roman theatre leans against the hill of Djebel el-Jawfa. It was built during the second century and could accomodate until 6000 spectators. It opens on a vast square which was the forum of the antique Philadelphia.